Meeting Room "A" holds up to 175 people for meetings w/o tables and up to about 100 with tables. This room is an excellent choice for receptions, showers, anniversaries and reunions. 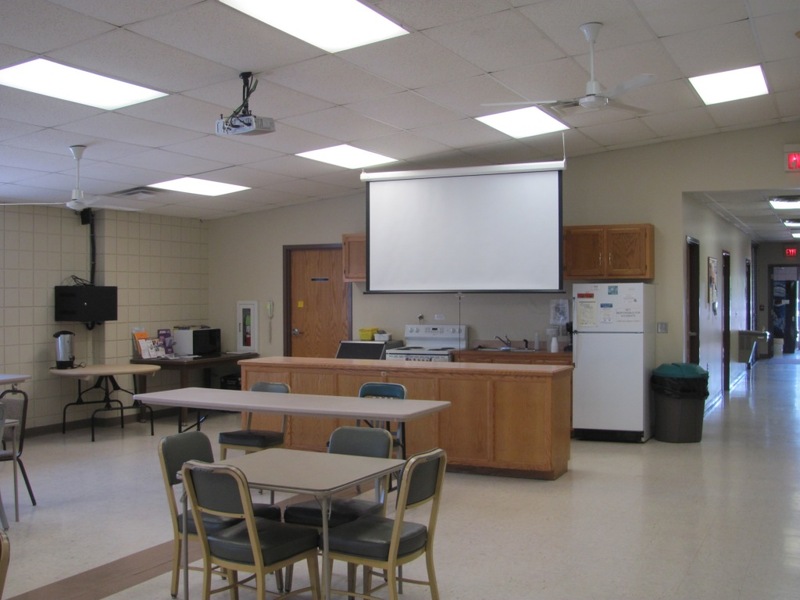 Utilizing the audio/visual equipment makes this room excellent for business meetings and presentations. Meeting Room "B", holding up to 50 people, offers a basic meeting space which can be used alone or in conjunction with either of the other meeting rooms. 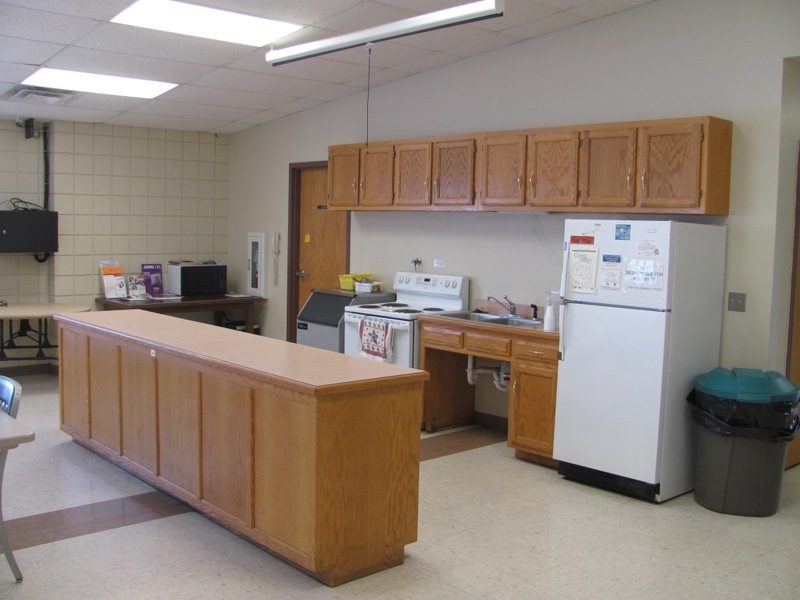 Additionally, senior meals are prepared and delivered from the attached kitchen facility (not part of the rental facilities). Senior Lunches are also served in this part of the facility Monday through Friday. Otherwise this area is available as a meeting space. Room "C" holds 60 people and has a TV w/ DVD player available for smaller groups. 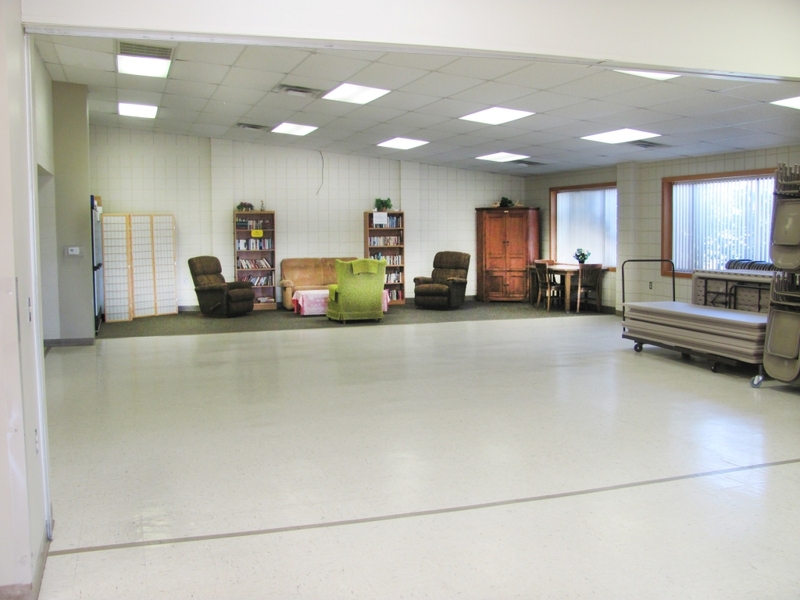 This area also offers a casual area with couch and stuffed chairs.